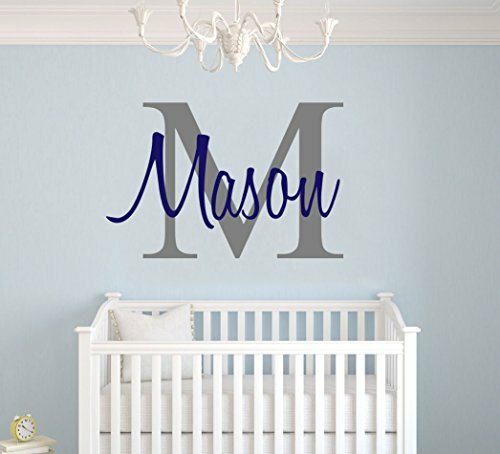 Custom Name & Initial - Premium Series - Baby Boy - Wall Decal Nursery for Home Bedroom Children (M511) (Wide 22'' x 15'' Height) by cryptonite at Wow In The Details. Hurry! Limited time offer. Offer valid only while supplies last. PRODUCT FEATURES Decals Made of Vinyl and Manufactured in USA If you want another SIZE, just let us know. For other colors, see chart above.